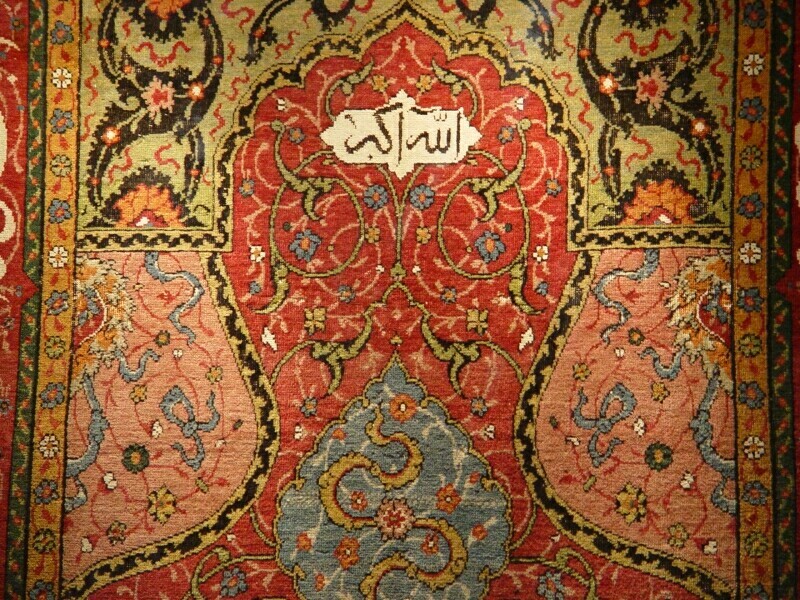 One out of three old prayer rugs with calligraphic inscriptions (Koranic verses) in Arabic script. 180 x 116 cm, knotted wool on wool. Oral tradition tells that it was a wedding gift from the Seljuk sultan Alaeddin Keykubad I to Mevlana in 1224. However, on technical and aesthetic grounds, this rug must be assigned to a later period: 16th century Ottoman. Most probably an imperial gift (sultan Süleyman I ? ), considering the exceptional quality of the work. in: Türk Etnografya Dergisi XIX – 1991 .